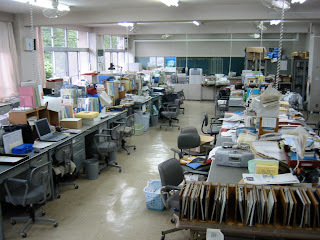 Well, it didn't take me long to find the staff room from the fact that there is some kind of a keypad next to the sliding door with several large desks and office chairs filled with a lot of books and stuff inside. A man approached me as I was looking inside. Man 1: "Oh, Kobayashi-san! You've recovered already?" Me (shy): "Erm, yes... I'm feeling alright now, sensei." I seem to automatically add "sensei" when I talk to him. Haruna was the one who's shy, not me. But because I also feel what she feels, I became shy even though I'm not. The name of the teacher I'm talking to did not came to my mind. Man 1: "Good. Well, I will be your homeroom teacher again this year, but only a few of your previous year's classmates are now in your class, so I would introduce you to the class when we reach there. Shall we go now?" 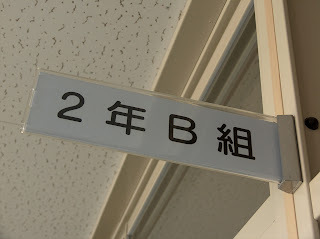 We climbed up to the 3rd floor and walked over to another building wing and the teacher stopped and turned to me outside of a classroom with the sign "２年Ｂ組" on the outside. I wasn't expecting him to enter immediately, so this actually made me feel more nervous. Man 1: "Okay class, let's start the homeroom session!" 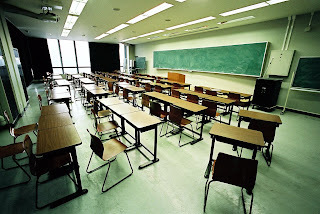 Sound of tables and chairs being dragged were heard and the class suddenly dead silent. Sounds of chairs dragging were heard again. Silence followed. Sound of chairs dragging were heard shortly after. What's going on? I can't see! Man 1: "Okay class, it seems that everyone is present. That's good. Now, we have a returning student who will be joining our class today." Man 1: "Okay, class. I know how excited you all are, but let's not make that student nervous." (I'm already nervous!) "Okay Kobayashi-san, you may enter now." 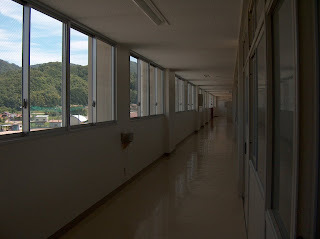 I slowly opened the door an nervously walked towards the middle-front of the class. I don't recall walking like this before. Must be with this body I'm in now. I heard some whispers of "Isn't that Haruna-chan?" and "Isn't that the girl who fell into a coma back in February?" as I did so. 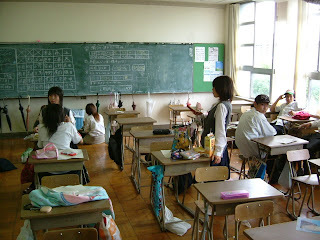 I took a chalk stick and wrote the Kanji for Haruna's name vertically on the blackboard. I haven't written on a board for a long time and obviously I'm not going to write my name since I'm no longer in my original body which was killed in a tragic accident that has appeared in the newspaper not too long ago. I seemed to be shorter than what I recalled to be, so I had some difficulity writing "小" for a while. After writing the name, I turned around to face the class. I spotted Nagisa and Yukari and were waving at me. Most of the guys were staring at me with a "Wow!" expression on their faces. I know what you are thinking: I was like one of you before. Me: "あの。。。 My name is Haruna, Kobayashi Haruna. I was actually hospitalized a few months ago due to a life-threatening illness. I was scared in the hospital room all alone for many days and not knowing if I would live tomorrow, but I'm fully recovered and I'm willing to study hard. よろしくお願いします！"
Later, the teacher appointed my seat to behind Nagisa, near the back of the classroom. Lunch break came. Nagisa, Yukari, and 2 guys approached me. Boy 1: "Oh, Haruna, can you lend me your notes?" Nagisa & Boy 2: "Kyousuke! How rude of you! She's only just came out of hospital!" Boy 2: "By the way, have you heard? The blog of the guy who was killed last week was updated the yesterday! On top of that, the description on that post was so accruate that it looked as though he wrote it! How scary!" It was me who wrote that. The blog has been mine since I created it, but I pretended to be surprised. Yukari: "＼(◎o◎)／！ なああああにいいいい？ How is that possible?" Nagisa: "Yeah, I checked it just last night and it was indeed there! However, the part about what happened to him after he died seemed to happened less than a day before Haruka here" (stares at me for a while as though she knew it was me) "woke up from her coma..."
Kyousuke: "That's way too coincidental! Haruna, do you know what's going on?" I suddenly felt as though something took over me. Could it be the the real Haruna that has been in this body? In any case, I lost control of it. Haruna (not me): "No. In fact I never knew it happened until you guys told me." Boy 2: "How mysterious... I'm scared just thinking about it." Yukari: "Erm... and how many people knew about this?" Nagisa: "Everyone! Not only with his close friends, it was reported in the news around the world! The first few people who noticed it saw that post in the early evening yesterday when they went there to send their message of condolences in the chatbox there." Yukari: "All these creepy stuff is making me hungry... (-_-;) Shall we go? 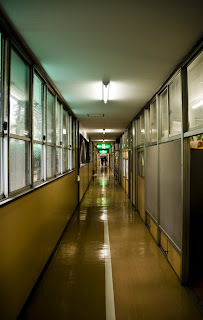 お腹すいた。。。"
We all left and headed to the school cafeteria. However, Haruka was whispering my name to herself on the way there. Could it be for me? She has never even communicated to me directly since I (somehow) took over her body. Haruna: "The reason why your mind ended up in my body after you died was because I have always wished to. In fact, if it weren't for our fathers studying in university together, we wouldn't have met. Good job on scaring people with that post of yours by the way." Me: "Thanks, but why did you wished so?" Haruna: "That's because I erm... loved you... You were the only one whom I can trust the most and what was said during the introduction earlier was true." I was speechless on those words... Well, I did have have the same feelings for you and thought that the once a year visit was not enough. Boy 2: "Haruna? Did you say something?" Haruna: "It's nothing, really. Minoru-kun. .................... Anyway, I will be shortly loose control over my body and may not be able to communicate to you directly for quite some time. When that happens, you would either take over, or I will faint like what happened back in February. It's as though fate wants you to take over and wants me in the back seat. Oh, I don't mind you dating guys since you are probably going to be stuck in this female body of mine for a long time anyway." Me: "...so you are saying that we should be together by being in the same body instead marrying?" Me: "And me being involved in the accident?" Haruna: "Oh that? It really wasn't my doing. Besides, how can I? ............... Uh oh, I think I'm losing control of my body.... Have fun and stay out of trouble!" I regained control of Haruna's body. I suddenly realised that I am seating at the table with Nagisa, Yukari, Kyousuke, and Minoru in the cafeteria with the food in front of me.